Strike Debt Bay Area. 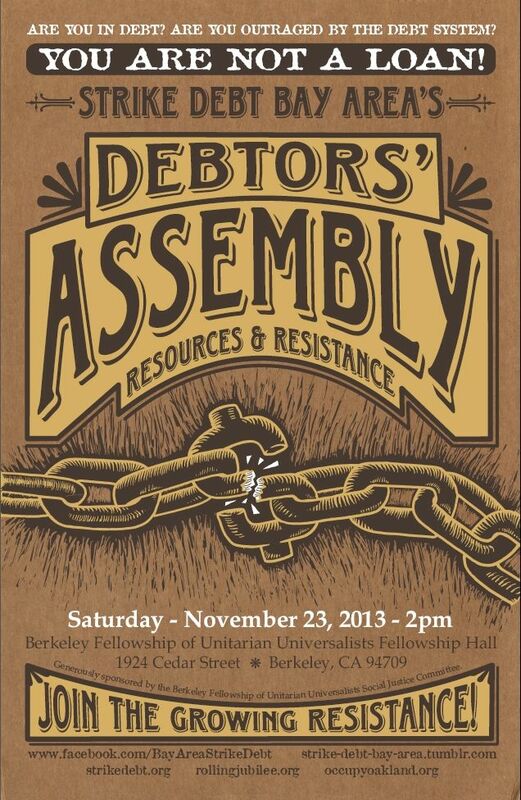 Fighting Unjust Debt. January 26, 2015 at 3:10 pm. Come get connected with SDBA’s many projects! organizing for public banking in Oakland and elsewhere.